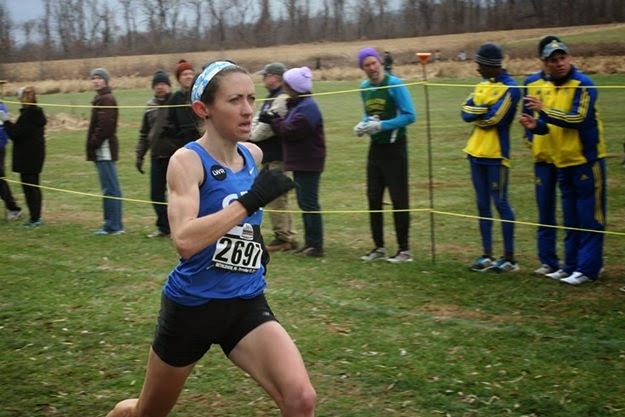 USATF has selected Frances Koons as a member of the women's team representing the United States at the BUPA Great Edinburgh Cross Country Race in Edinburgh, Scotland on January 10, 2015. Koons earned her spot on the national team with an outstanding 8th place finish at the USATF Club Cross Country Championship at Lehigh University on Saturday. Upon learning the news, GRC Coach Jerry Alexander said, "I am thrilled for Frances to make the team. There is no greater honor for a runner than to represent her country in international competition, and Frances will run her heart out for the USA in Scotland. It's also an incredible honor for GRC for one of our athletes to make a national team, and we're extremely proud to call her one of our own." FLASH: The GRC Women, lead by Frances Koons' 8th place finish, placed 10th at the USATF Club Cross Country Championships this afternoon in Bethlehem, PA. 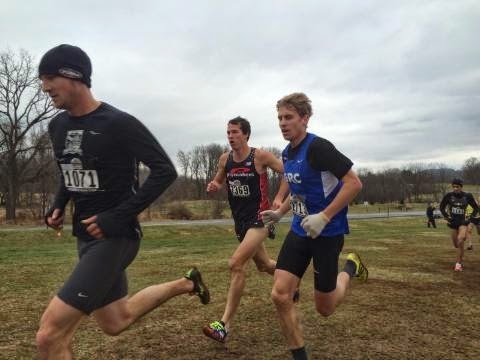 The Men's B Team placed 25th. The Men's C Team placed 42nd. It was the largest field ever assembled at Clubs. The men’s team is led by Lucas Meyer, a two-time Olympic Trials qualifier (steeplechase in 2008, marathon in 2012) who excels at cross country. Meyer was an All-American at Yale and placed 7th place at Clubs in 2009. 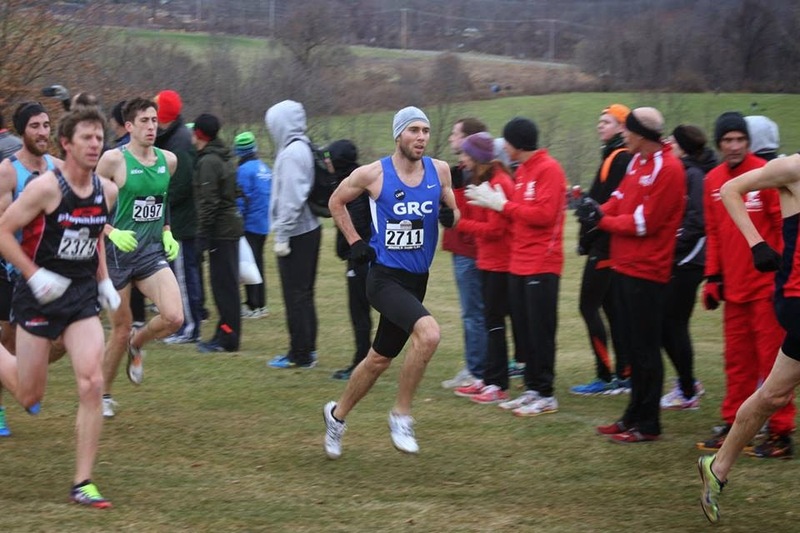 More recently, Meyer placed 10th in the USATF 10 Mile Championships with a GRC club record time of 48:46. Meyer will have company in two other All-Americans: Kevin McNab (Texas A & M), who has had an outstanding fall on the roads, and Michael Franklin (Princeton), who won the 10,000 meters at the 2014 Penn Relays with a GRC club record time of 29:32. Other potential scorers are Lehigh Valley native Sam Luff (29:37 10,000m), Phil Royer (8:59 - steeplechase, 14:07 - 5,000m), Ryan Witters (14:31 - 5,000m), and Matt Rand (30:09 - 10,000m). “I’m excited about both the quality and the depth of this squad,” said Alexander. “Luke, Kevin, and Mike are all capable of finishing in the top 30 if they run well. Sam has been running on this course since high school and knows it like the back of his hand, and he’s ready to put that experience to good use. Ryan is full of confidence after his recent road PRs, and Phil and Matt are excellent cross country runners who are ready to go.” Rounding out the “A” team is 39 year-old David Wertz, who will be running his final open race at Clubs before he moves up to the Master’s division in 2015, where he hopes to contend for a spot on the podium. What a truly, truly phenomenal performance by Teal!! I've had 24 hours to process her titanic accomplishment, and I'm still at something of a loss for words to describe how incredibly well Teal ran, but this will shed some perspective on the enormity of her achievement--when Teal began this training cycle, her half marathon PR was 1:21:37. Yesterday she ran two half marathons thirty seconds faster than that, back to back! Think about that for a moment. Teal is a very experienced marathoner, and for someone with her level of experience to improve so dramatically in such a short period of time is simply astonishing. To me, the most amazing part is that Teal believed to her core that she could break 2:43, and she committed herself to going for it by rolling with the 2:43 pace group from the gun despite the ever-present possibility that the aggressive early pace would come back to bite her late in the race. There's an old saying in the coaching game that the body can't go where the mind hasn't already been, and Teal has been mentally prepared to take on this challenge ever since she joined GRC. Yesterday, her body caught up to where her mind has been for over two years. Indeed, Teal was so confident in herself that she hit the gas at mile 24, and left the 2:43 pace group in the rear view mirror to make sure she didn't cut it too close at the tape. Teal's performance is unquestionably one of the greatest in GRC history, and I am certain that her incredibly courageous run will serve as inspiration for our athletes at Clubs, and beyond. Well done! Not to be lost in the excitement over Teal's superb run is that we had excellent performances across the board in Sacramento. Julie ran 2:51:55, a 55 second PR! Julie's training was not ideal due to her hectic work schedule, and she started to struggle by mile 13, but she showed her characteristic toughness and grit by fighting through it all the way to the tape. Julie is going to be back for another go at the distance in 2015, and she's got a Teal-style major breakthrough in her waiting to come out! Outlaw made a successful marathon debut in 2:31:24. Outlaw had a great training cycle, and he was on pace to run 2:27 through 22 miles when, as happens so often to marathon debutantes, the bottom fell out. Despite his screaming quads, Outlaw maintained as best he could and finished with his head held high. With a valuable lesson learned, Outlaw will be back in 2015, looking to break 2:25, and I wouldn't bet against him. Finally, Breezy ran a very solid 2:46:30 after a training cycle that was all but ruined by a lengthy trial he completed last week. For the non-lawyers in the crowd, I can assure you that during trial, a lawyer has little time to do anything but work, eat, and sleep (and not very much), and if you know Breezy, you know that he takes his job as a criminal prosecutor very, very seriously, so the fact that he got on the starting line yesterday is a tribute to his resolve. That he was able to work with Teal for most of the race and contribute to her incredible performance was going above and beyond the call of duty. Breezy will be back, better than ever, in 2015. We'll be at BCC for our final tune up for Clubs. We'll get going at as normal, so meet for the warmup at 6:30. We'll be at BCC on TUESDAY for our final tune up for Clubs. We'll get going at 7:15 as normal, so meet for the warmup at 6:30. Earlier this afternoon, Coach Jerry Alexander was summoned to comment on word that one of his athletes, Teal Connor Burrell, had qualified for the Olympic Trials in the marathon. "In 25 years of coaching I'm not sure I've ever seen an athlete maximize her ability on race day the way Teal did today, said Alexander. "Everything came together in exactly the right way at exactly the right time, and in one race years of hard work paid off in the most spectacular way. I could not be more proud of her." Alexander added, "There could not have been a more meaningful and appropriate way to honor Lauren than what Teal did today." Teal's former teammate, Lauren Woodall Roady, passed away two years ago Monday. GRC athletes wear a "LWR" patch above their hearts on their singlets in memory of their teammate. Teal Burrell ran 2:42:16 at Cal International today to qualify with time to spare, with a 10-plus-minute PR, running a consistent, though slightly accelerating, pace throughout. It appears Breezy (2:46:35), ran the first 20 miles with her (2:04:18) before she dropped the gloves and went after it. She will likely don some compression socks to recover and get ready for LA in 2016. 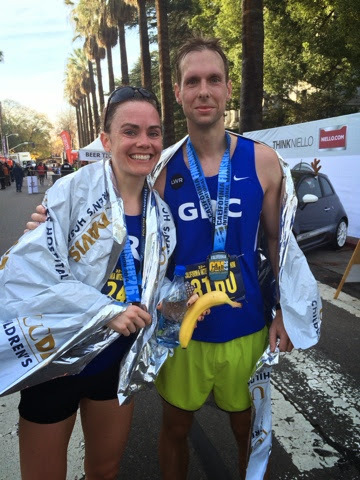 Marathon running in December can only mean one thing: California International Marathon (CIM). Brian "Breezy" Young, Jerry "Outlaw" Greenlaw, Teal Burrell, and Julie Tarallo, four accomplish veterans on the GRC squad, are making the cross-country trip from Washington, D.C. to Sacramento to toe the line at 7 a.m. Sunday morning for the 21st running of the Marathon. The four GRC-ers, all veterans of the marathon except for Outlaw making his marathon debut, are looking to capitalize on a CIM course that is known for turning our fast performances and PRs. As of this posting, Sunday’s forecast is for lows in the low-50s, highs in the mid-60s and low wind. After a fall of hard training, the four GRC-ers tackling the 26.2 in Sacramento are ready for big things. With a fall of PRs for Burrell in the 10-mile and half-marathon, she’s looking to add another PR to the books with a breakthrough in the marathon. For Tarallo, CIM is an opportunity to improve on her PR from Boston in 2013. 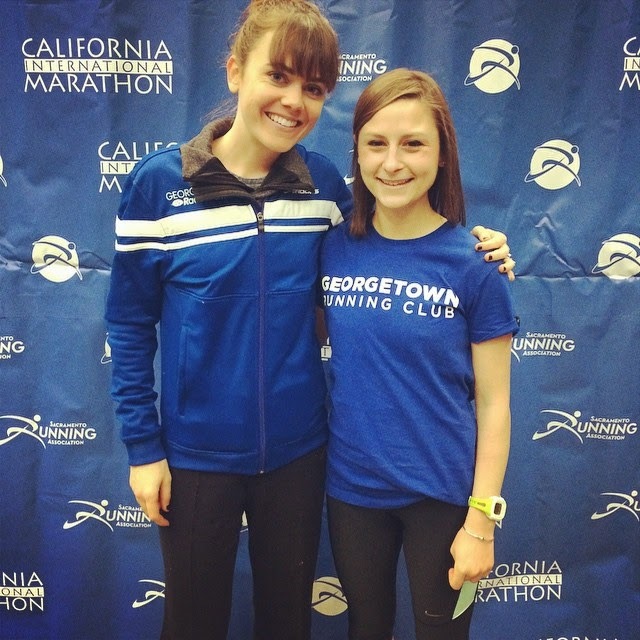 With her continual strong and steady performances, the fast course at CIM will hopefully pay dividends. 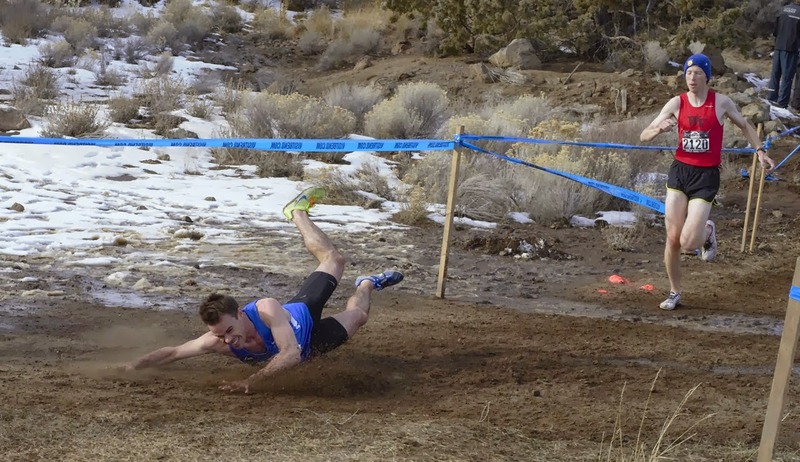 Breezy, who set a big PR last year at CIM of 2:42:24, has had a few setbacks due to his exceptional prosecuting skills. This time around, Breezy heads into CIM confident but cautious. "Look, I know the marathon is about the hard training. That's what we do. I had some great months of hard training but unfortunately some weeks of work travel didn't help the cause," Breezy said. Breezy's hard training once again included his signature 20-mile at pace effort, a workout that has proved successful and is now emulated to varying degrees by fellow GRC marathoners. "I think the game plan I've talked with Coach Jerry about it to get out easy and look to negative split," Breezy said. "While I'm not sure the PR will be there, I'm looking to run a solid time and you never know at CIM." While these three GRC-ers have double-digit marathons between them, Outlaw will be experiencing the post-22 mile sensation(s) for the first time. With the hard training in the books, it’s clear Coach Jerry is excited to see what this group can do Sunday and knows it will certainly continue to build on the growing success of GRC. Ryan's club record for the road 5k of 14:38 on his old stomping grounds in Evansville. Ryan ran solo from the gun, making his performance that much more impressive. Kevin's enormous kick to win the Alexandria Turkey Trot 5 mile in 24:32, which puts him 5th on the all-time list. Kevin knows how to win races, and he went deep into his bag of tricks to beat a very strong field on Thursday morning. Kieran and Dave Wertz's PRs in Alexandria, in 24:43 and 25:35, respectively. Kieran led for most of the race, and purposely slowed the pace in the middle miles to give Kevin a tactical advantage, and he definitely has more gas in the tank. Wertz just keeps getting better with age, and he's going to be a real contender to win multiple Masters national titles when he turns 40 next year. Victories by A-team stalwarts Mike, Phil, Sam, and Luke in low key settings. Mike won a 5k turkey trot in New Jersey, Phil won a 10k turkey trot in Louisville, Sam won a 5k turkey trot in the Allentown area, and Luke won the Pacers pre-clubs xc 6k. All four of them got in hard workouts, and will be ready to roll at Clubs. On the women's side, Kristin did double-duty, running a PR of 29:18 for 5 miles in Alexandria, and winning the Pacers xc 4k. Kristin has run PRs virtually every time she's raced this year, and she's not done yet, as she's gearing up for a big effort at Clubs. Also at Alexandria, Lindsay ran a solid 29:55, and Beth raced for the first time in more than 7 months due to injury, running a very controlled 30:18. Sara was second in the Pacers xc 4k, and showed that she is rounding into shape at the right time. 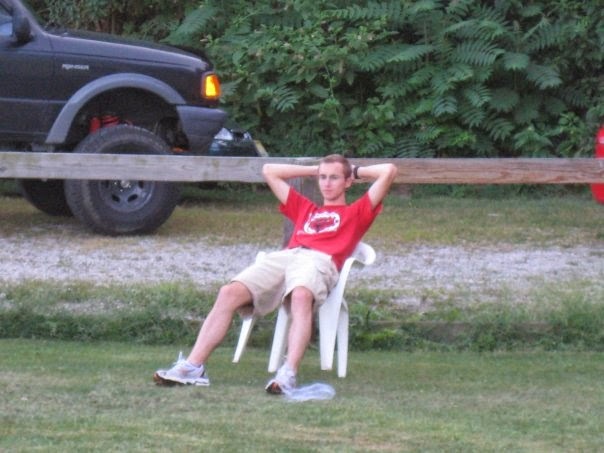 I want to acknowledge the efforts of Pacers coach Dustin Sweeney in organizing and staging the xc race. You all know that Dustin routinely goes out of his way to welcome us at Pacers events, but yesterday he went way, way above and beyond the call of duty, as he had a serious medical emergency over Thanksgiving, but he made sure that the race went off without a hitch. We all owe Dustin a debt of gratitude for his hard work and support. We'll be at BCC on Wednesday for our normal 7:15 start, so meet for the warmup at 6:30. We're going to get after it on Wednesday in our final hard workout before Clubs. We had some very nice performances at the Rothman 8k in Philadelphia on Saturday. Ryan ran a PR of 24:31, which moves him to 4th on the all-time GRC list, and is a sure sign that he is going to make some noise at Clubs. Ryan was not able to make the trip to Bend last year, but he's ready to roll this year, and having him on board at Lehigh is going to be a huge boost to our already loaded A team. Sam ran a solid 25:09, and proved that he is rounding into shape at the right time. Evan ended his injury-shortened season with a PR of 25:19, which is most impressive given that his nagging hamstring problem precluded him from doing much in the way of speed work this fall. Dickson ran a strong 25:54, and Fridge continued his recovery from illness with an encouraging 27:13. If anyone wants to do a workout on Wednesday (or tomorrow for that matter) I'm available, so give me a shout if you'd like to come out to BCC. Looking ahead, we'll be on the track next Wednesday for our last hard workout before Clubs, then we'll get on the grass on December 6 to stretch our legs and make sure those xc spikes you haven't taken out of the closet since 2012 still fit, and we'll do a final shakeout at BCC on Tuesday December 9. Good luck to all who are turkey trotting. Kristin dominated the open race, beating the nearest woman by 20 seconds! Luke, Ryan, and Pat Kulhmann all had very solid performances. Tomorrow at 6:30 a.m. I'm meeting Outlaw in Alexandria at the intersection of the GW Parkway (North Washington Street) and Montgomery to do a few easy miles (i.e., not hard training) along the course and watch the race. Show up or post up if interested. GRC Newswires report that Chuck (as he is known in Richmond circles) Ban sets a 20 second PR in the Richmond Half Marathon this morning, with an unofficial time of 1:10:56. Going out controlled in the first two miles, he slowly ratcheted down the pace to hit splits roughly in the 5:20 range for the remaining 11.1 miles of the race. Even more impressive, the effort was largely solo. Hopefully this performance is a harbinger of things to come for the GRC the rest of the weekend! In the wee hours of Sunday morning, many very talented runners will dart out-and-back on the GW Parkway in an attempt to prove their dominance over the D.C. running scene. For the second straight year, the .US National 12k is being hosted in Alexandria and the GRC couldn't be hungrier to take on the stiff out-of-town competition. Leading the way is Luke Meyer, who earned an invitation into the elite field based off of his 36:56 from last year. Yeah, I don't really know what 12k times mean either. Regardless, Coach Jerry Alexander thinks Luke is ready for a good one. 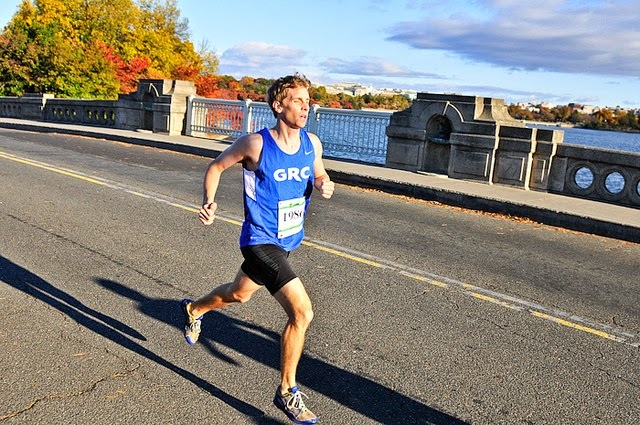 Brimming with confidence, Coach Alexander reports, "While Luke was disappointed with his race at Wilson Bridge Half, his training has been going great, and he's looking forward to mixing it up with the pros up front." Also competing for the men will be Ryan Witters and Pat Kuhlmann. "Ryan got a very late start to his season, but he's rounding into excellent form," said Coach Alexander. "While 12k is at the far end of his range, he's looking to run hard and compete. Conversely, 12k is on the short end of Pat's range, but he's ready to measure himself against the best masters in the country." It's not just all about the guys: Kristin Johnson will also toe the line on Sunday. "Kristin is fully recovered from her excellent performance in the half at Raleigh two weeks ago," Coach Alexander explained, "and she's ready to start focusing on shorter races as she prepares for Clubs." Check back here on Sunday to see how these all-stars fared! While we had some excellent results from our large crew at the Veterans Day 10k, the top performance of the weekend was Kieran's club record of 46:49 at the Stockade-athon 15k in Albany, on a hilly course. Kieran placed third in a deep field, and although he was disappointed that he was unable to respond to the winning move with a mile to go, he is extremely fit, and will be ready for some major PRs in the weeks to come. In other non-Vets day races, Phil ran a solo 19:23 for 4 miles at a race in Tulsa that offered the option of stopping for a beer halfway through. Whether Phil availed himself of that option, and how much faster he would have run if he hadn't, will remain a mystery. Closer to home, Outlaw ran a solo 1:12:01 on a very hilly course at the Battlefield Half in Winchester. Outlaw is making his marathon debut in Sacramento in 4 weeks, and he will be ready to make some noise. Finally, Susan won the Bay Bridge 10k in 38:35. The course was not conducive to running fast because, as the name suggests, the athletes crossed the Bay Bridge, which meant a major climb and extremely strong winds. Susan explained her reasons for running this challenging event to the media throng during her standing-room-only press conference, and this muckraking reporter is poised to launch a full investigation of the obviously suspicious claims she made regarding her background. Our Vets Day crew was led by Mike in 31:42, followed closely by Matt Rand in a strong 31:43, and Stewart in a big PR of 31:54. In college, Stewart focused on the 1500, and for him to run so well in a distance that is outside of his comfort zone was a major step forward. 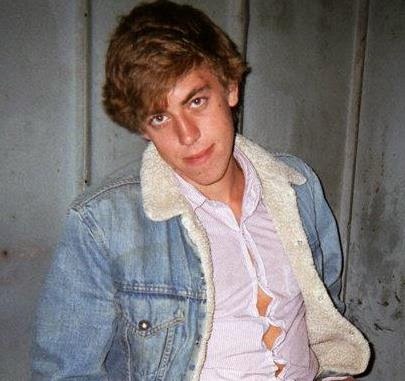 Speaking of milers running PRs, Tom ran a huge one--his 32:29 is another big breakthrough in his epic fall season, and he will be a force to be reckoned with when he gets back on the track. Wertz, Balmer, and Sean O'Leary ran solid times of 32:23, 32:25, and 32:38, respectively, followed by Sebi in 33:17 and Dave O in 33:56. I was extremely pleased with Sebi's performance as he continues to make great progress in his recovery from hip surgery. We're at BCC for a 7:15 start on Wednesday, so meet for the warmup at 6:30. Tom Kelly's performance can be solely attributed to Paul Balmer's pre-race instructions. When Tom announced that he was aiming to run 33:30, Paul "suggested" that he run 32:30 instead. 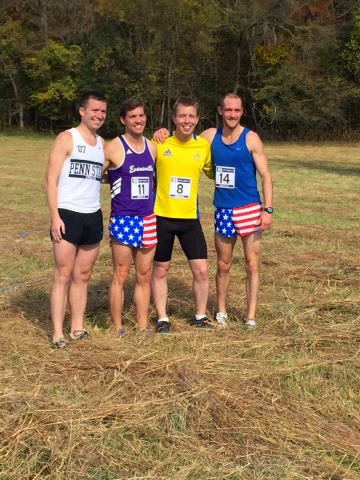 Ryan Witters took top honors at the Happy Runner 5k in VA. American flag shorts were worn. 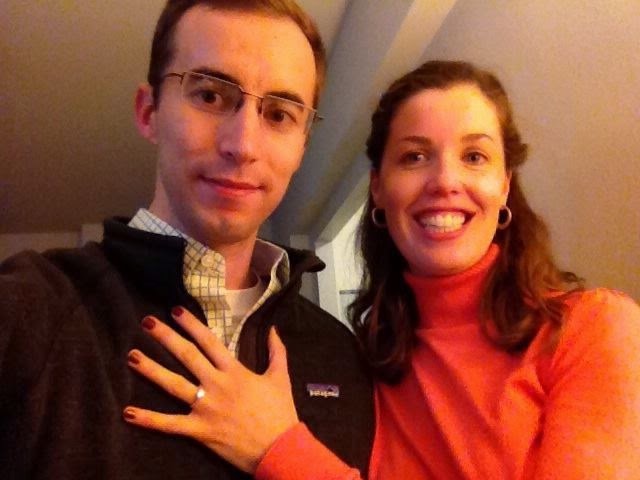 Oh yea, and Murph got married. Wed 'em! 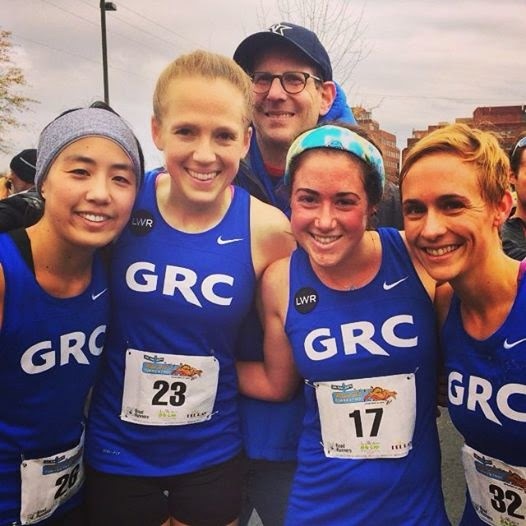 Congratulations to Teal for her outstanding 1:19:29 in the Raleigh Half Marathon, a PR of over two minutes, which earns her the highly coveted but rarely awarded GRC Athlete of the Week. This was a major breakthrough for Teal, particularly considering that the course was hillier than advertised, and it was quite windy. After enduring a lengthy absence due to injury in 2013, Teal has returned better than ever, and she is poised for another huge breakthrough in Sacramento in December. Well done! There were several other fine performances this weekend. Kristin ran an excellent 1:19:21 at Raleigh, an 80 second PR. In her two half marathons this fall, Kristin has improved her PR by over 7 minutes, and there's more left in the tank. Kristin will turn her focus to shorter races for the remainder of the fall before tackling the marathon in the spring, so we're going to see more big PRs from her in the coming months. At the Parks 10k, Luke tempoed a comfortable 31:30 in preparation for the USATF 12k, Witty got his season going in earnest with a solid 31:53, and masters phenom Pat Kuhlmann ran a strong 34:05. At the Stache Dash 5k, Kevin ran 15:27 on a slow course, and was disappointed to be outkicked in the last 400, but he'll be back to his winning ways next time out. Dave O ran a strong 16:36, and Elyse continued on her steady progression back to race fitness. And at the National Race to End Women's Cancer, Chuck guided visually impaired athlete Matthew Rodjom to the win in 18:12. Rumor has it that Big City was so enamored of road racing that he's forgoing track season to train for Cherry Blossom, so look for a tall, skinny dude in shades up front with the Kenyans. We're at BCC this week for the normal 7:15 start, so meet for the warmup at 6:30. Duly inspired by Brian "Baruch" Young, I wish a happy and healthy 5775 to all. Shana Tovah! We had some excellent performances from the men on Saturday at Clarendon Day, led by Kevin's dominating victory in the 10k in a solo 30:37. Kevin's win was even more impressive given the fact that he was still feeling the affects of winning a hilly 10k in Baltimore 6 days earlier, so Kevin wins the coveted shtarka of the week award. Also in the 10k we had strong performances from Matt Rand, who ran 32:11, and Sean O'Leary, in 32:45. In the 5k, Mike celebrated the new year with a solid 14:52, and he undoubtedly would have run faster if he hadn't had that last piece of kishka at Rosh Hashanna dinner the night before. Bless him, that boychick can eat! Dave Wertz ran an excellent 15:19, a road PR, followed by James in a very solid 15:30. The two most noteworthy performances in the 5k, however, came from two of our track specialists, Tom and Shaun, who ran 15:31 and 16:49, respectively. Three weeks ago, Tom's PR was 16:14, and in two races he has improved by a remarkable 43 seconds. Shaun is still in the early stages of his comeback from serious injuries he incurred in a car accident in 2012, and this performance was a big step in the right direction. In non-Clarendon news, we had an excellent performance from Sebi, another athlete on the comeback trail, who won the Freedom 5k in 16:40. Sebi's recovery from hip surgery is coming along well, and he's looking to be back to full strength in 2015. Abi gezunt, Sebi! We also had strong performances this weekend from Susan and Sarah. Susan ran a very controlled 18:27 at Clarendon Day, and Sarah won the West Chester Stomps Cancer 5k in 18:45. 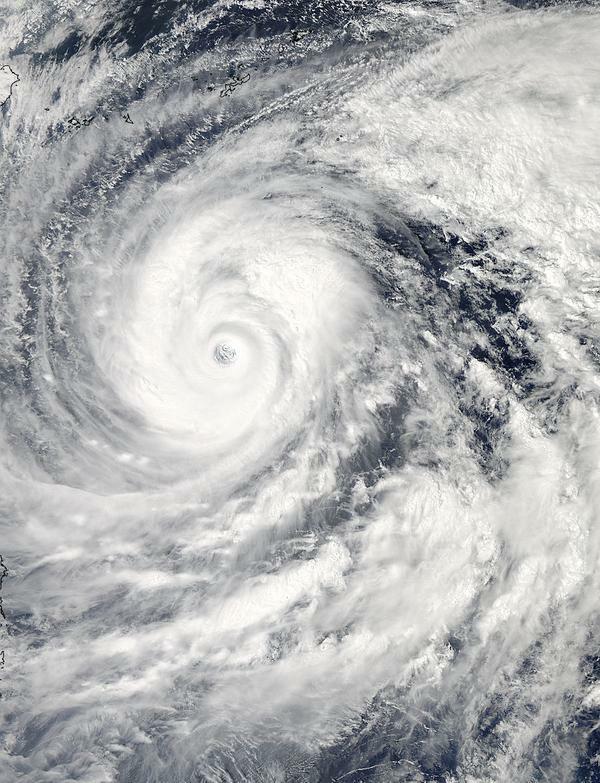 Susan is in excellent early season shape, and we're going to see more strong results from her this fall. Sarah is well on her way to returning to full fitness, and she will continue to improve every week. I've earned the dreaded schmendrick of the week award by omitting Maura's 36:47 at the Pittsburgh Great Race 10k. Maura has run some solid early season performances, and we're going to see some PRs from her later this season, starting at Army. Much to the disappointment of my Yiddisha mama, I'm not a doctor, but my lack of medical training notwithstanding, I strongly recommend that you all get flu shots in the near future. A flu shot now could go a long way towards keeping you healthy this winter, thereby eliminating unwanted breaks in your training. I know that a nice matzo ball soup can work wonders when you're under the weather, but let's try to eliminate the need for resorting to such drastic measures by not getting sick in the first place. If any further proof were needed, we received confirmation yesterday that long races and high humidity are a bad combination. 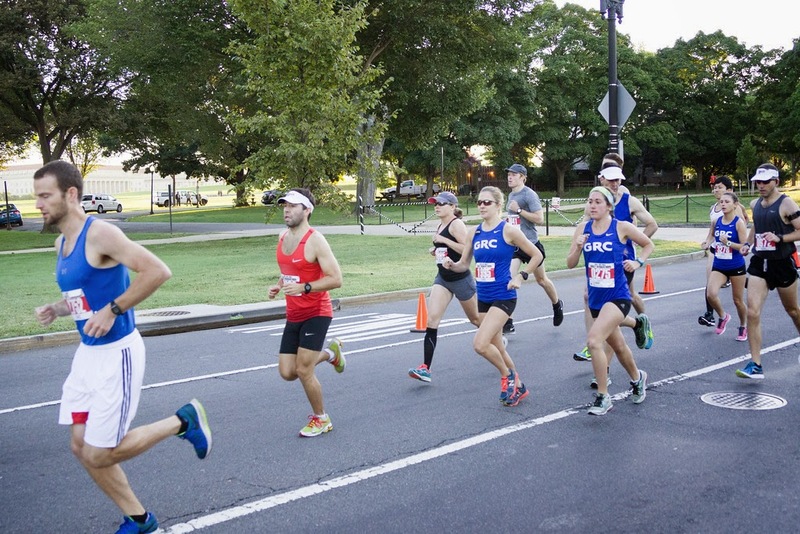 Our crew at the Philadelphia Rock and Roll Half Marathon encountered very difficult conditions, and unfortunately the times reflect those conditions. But the day was not a total loss, as Amy made her official GRC debut in a very respectable 1:21:49. Amy is a superstar in the making--she was a soccer player at UVA who had no background in running, and essentially untrained she ran 59:36 at the GW Parkway 10 mile in April. With a few months of consistent training under her belt, there's no telling what Amy will be able to achieve, so keep an eye on that young lady going forward. We also had a solid performance from Pat Kuhlmann, who was second master in 1:12:18. The rest of our crew, Sean Barrett, Outlaw, Charlie, and Teal, were all hampered mightily by the heat, but their fitness will show down the road. 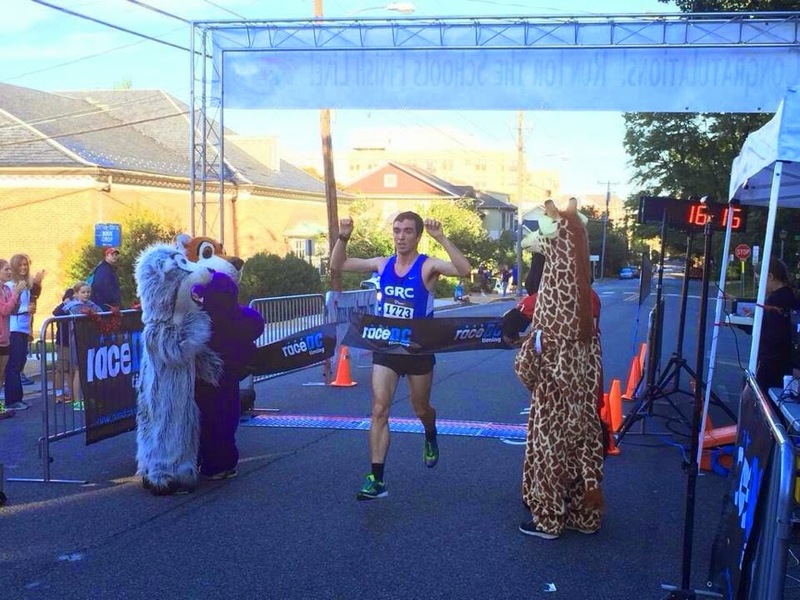 Closer to home, Kevin defended his title at the Race for Our Kids 10k in Baltimore, in a very controlled 31:27. 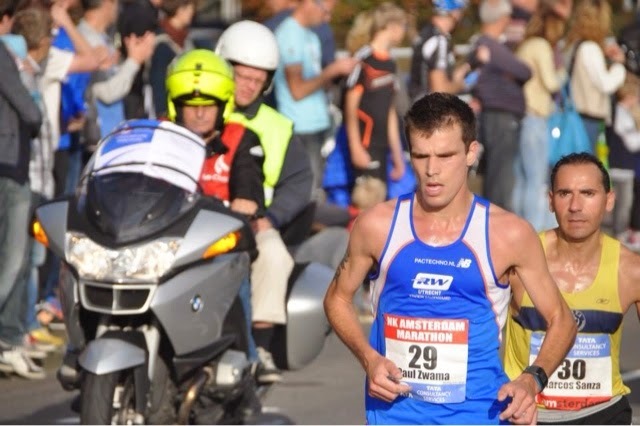 Kevin will be back in action on Saturday at Clarendon Day 10k, where he'll be looking to continue his winning ways. We're back at BCC this week for our normal 7:15 start, so meet for the warmup at 6:30. The school may be closed, so it might be necessary to find bathrooms elsewhere. I'll see you at BCC on Wednesday night. Chuck "Big City" Kacsur is beginning his tenure on the alumni board of directors at his alma mater, California State University of Pennsylvania. Big City, seen here lounging, will be a great addition to the board, bringing his metropolitan ways to an ambitious little branch of the Pennsylvania State System for Higher Education, without disrupting the rural character of the campus, tucked away in Washington County on the Monongahela River. We had a big weekend of racing, highlighted by the Navy 5 miler and half marathon, and there were many outstanding performances. The undisputed race of the day, however, was Kristin's 1:20:40 in the half, which was a humongous 6 minute PR. This was a major breakthrough for Kristin, and while it was not unexpected given that she ran superb workouts all summer, it's one thing to run well in practice, and quite another to run well in races, and Kristin delivered when it counted. Kristin executed her race plan perfectly, which was to stay comfortable through 10 miles, and she would have run much, much faster if she had opened it up earlier. We're going to see many, many more major breakthroughs from Kristin in the weeks and months ahead. Maura's meet record in the 5 mile of 30:03. Maura missed the start of the race last year, but she was on the line when the gun went off this time around, and ran a strong race considering that she was solo from the mile mark. Strong races in the 5 mile from our contingent of recent graduates. Sean O"Leary ran a very solid 25:49, followed by Stewart in 25:56, James in 26:27, and Kyle in 26:38. Sean and Stewart rebounded nicely from less than stellar 5ks in early September, and they will continue to improve as the season goes on. James had not run a race that long in almost two years, and we will see continued progress from him on the roads as he builds his strength for track season. Kyle's training has been limited by a minor injury the last two weeks, but we'll be seeing much more from him this fall, and beyond. In non-Navy news, Dave Wertz successfully defended his title at the Navy Federal 5k, and Tom ran a 5k PR of 16:13, not only winning the Race for Schools, but also beating a world record holder in the half marathon in the process. That 10 year-old thought he could use his strength to wear Tom down, but he didn't factor in Tom's superior finishing kick. Due to another conflict at BCC, we're on the mall again this week. The drill will be the same as last week--we'll meet at 6:15 on the 7th street side of the loop, and I'll be there to watch your stuff while you warm up. We'll get rolling at 7:00. If you need additional information on logistics, let me know. I'll see you on the mall on Wednesday night. 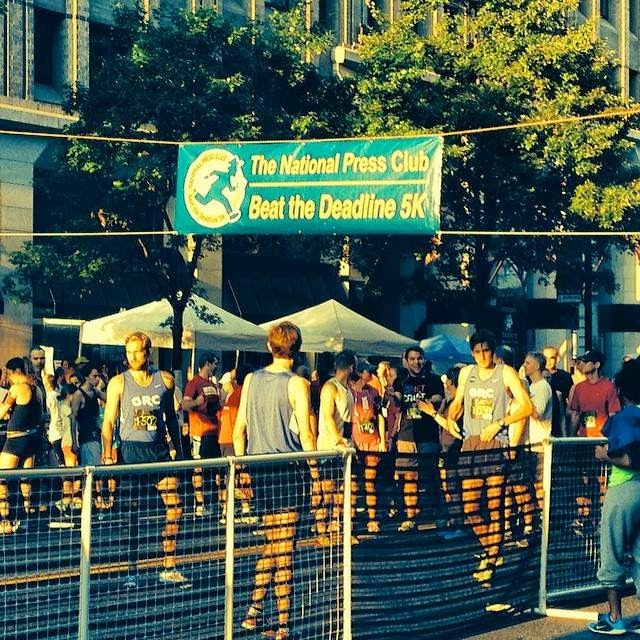 Dickson Mercer, Justin Snair and Patrick Kuhlman overcame persistent anti-GRC bias in the Mainstream Media today by finishing fourth, fifth, and sixth at the National Press Club 5k. Their times were 15:20, 15:36; and 15:39, respectively. Emily Dufton, wife of Dickson and owner of Bruno, was second in her age group. Anonymous, unconfirmed and unattributed sources report the course was a touch short. Others contend that these reports are fabrications designed to feed our "if it bleeds it leads" 24-hour cable news cycle. We report, you decide.